Error in Abstract. 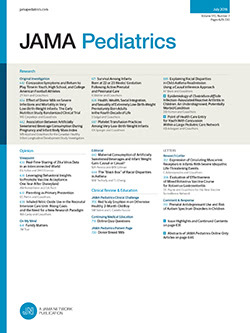 In the Article titled “A Randomized Trial of Air Cleaners and a Health Coach to Improve Indoor Air Quality for Inner-City Children With Asthma and Secondhand Smoke Exposure” by Butz et al, published in the August issue of the Archives (2011;165:741-748), an error occurred in the Abstract on page 741. The last sentence of the “Results” section should have read, “Symptom-free days were significantly increased in both air cleaner groups compared with the control group (P = .03).” The article was corrected online.